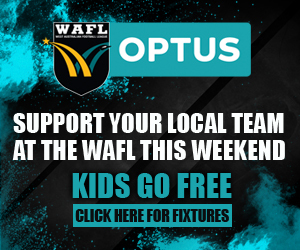 The WAFL is back and a new era of the competition is here. This weekend kicks off with the West Coast Eagles entering the competition for the first time, taking on Perth at Mineral Resources Park on Saturday at 12.40pm. 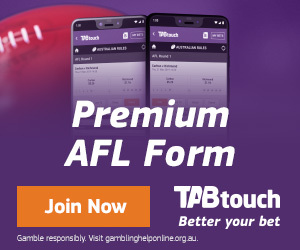 Perth Football Club will host the newly formed West Coast Eagles WAFL side at Mineral Resources Park (formerly Lathlain Park) this weekend in Round 1. At the FREE kids zone there will be a bouncy castle and the Bupa marquee with a handball target. For the older kids (and the adults, too!) there will be a football 'dartboard' competition. With some great prizes on offer, make sure you enter. The Phoenix Insurance Brokers half time entertainment is back, and better than ever with a $500 kick for cash. To compete, simply sign up at the Team Store by the end of the break after the first quarter. 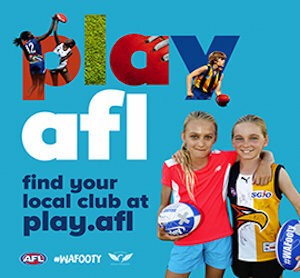 For the kids, there are under 5s, under 9s and under 12s running races, with the winner of each heat taking home the prize of $20 cash and a $10 Perth Football Club Team Store voucher. The canteen and all bars will be open on game day. Following the game, the commemorative game day football signed by both the Perth Football Club and West Coast Eagles WAFL Coaches and Captains will be auctioned in the Main Hall of the Lathlain Function Centre. After the auction, the WCE v Collingwood game will be shown on the big screen. All supporters are invited to attend. 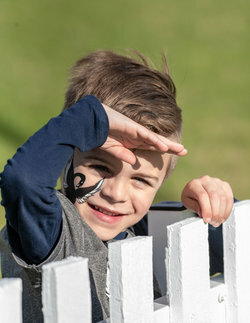 A very special flag raising ceremony will take place before the league match with the club set to raise the three flags that it won during last year’s 2018 Grand Final day at Optus Stadium. Flags are set to be raised from 1.45pm with the majority of last year’s league, reserves and colts premiership sides to be in attendance at this special occasion. Keep an eye in front of the Subiaco Members Grandstand during the quarter time, half time and three-quarter time break with a series of fun, games and interviews from down on the ground. Get the kids to the front of the Members Grandstand for their chance to win in our quarter break games. The footy will be live all day and all night in our sports bar! See West Coast v Collingwood, GWS v Richmond, Carlton v Sydney live on our screens, plus $8 Pints as well!! A special offer upon arrival for all 6054 residents at the footy – a free sausage sizzle as well as a drink or slushie! (Need to show proof of residence at entry). Enjoy free rides and games. Mechanical Surfboard, Radical Run, Spider Mountain, Bouncy Castle, Face Painting, Giant Games, Drawing table and handball competition.